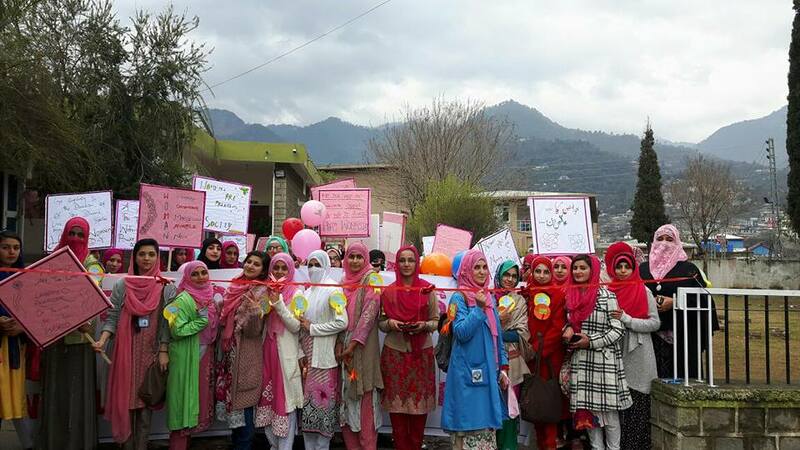 International Women Day Celebrated in Women of Azad Jammu and Kashmir Bagh. A walk was arranged from Science Block to Bismallah Campus. Honorable Vice Chancellor, Faculty members and large Number of Students Participated in Walk and Program.